If your goal is to shift some stubborn body fat, creating your own weight loss smoothies are a fantastic way to helping you achieve this. The trick is to ensure the ingredients you use are completely natural, rich in natural vitamins, minerals, protein, natural fats, fibre and low in carbohydrate. If you do this then you will be helping the body to create the right responses to help you lose weight. Best of all smoothies only take two minutes to make and you can carry them as you are running out the door in the morning! 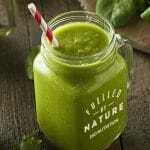 This smoothie will be low in carbohydrate which prevents raising blood sugars, which allows the body to burn fat. The berries are low GI and packed full of antioxidants. The almond butter is a great source of slow releasing energy, and the 180 Natural Superfood is rich in fibre, protein, natural nutrients and natural fats. But more importantly 180 is free of all chemicals, artificial sweeteners and flavourings, having an overall positive impact on the body and keeping you fuller for longer without the cravings. 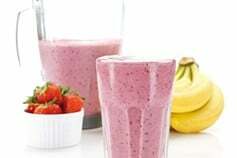 Try this weight loss smoothie recipe today and feel the difference.